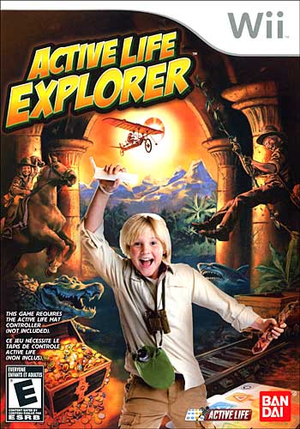 Jump into action as a fearless adventurer searching for treasure the world over in Active Life: Explorer. Explore an array of intriguing themed locales including dense twilight jungles, ancient ruins, lava-flooded caves, frozen ice packs and more each with their own traps, hazards and challenges. A veritable thrill-ride of activities will keep the whole family moving as they run across falling bridges, dodge perilous booby traps, escape from savage beasts, chase down bandits, and much more as they ride off into the sunset with a bounty of loot and rewards. This game is known as Family Trainer: Treasure Adventure in Europe. The graph below charts the compatibility with Active Life: Explorer since Dolphin's 2.0 release, listing revisions only where a compatibility change occurred.